Many customers have a wide variety of thermal needs at their facilities whether for sterilization, process heating, drying/curing, etc. These needs may include high pressure steam energy, low pressure steam or hot water. Typically customers have no idea what steam energy costs them, but are keenly aware of their fuel bills. The end result tends to be a focus on fuel expenses and not efficiency or reliability. Should you be considering co-generation ? How much capacity do you need? 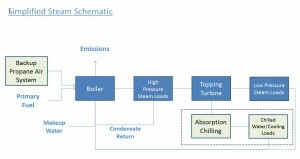 How critical is the boiler to your process? Do you need more than one boiler? What working pressures does your process require? What fuel will be used? Is solid fuel an option? How much stored on-site fuel capacity do you need? Is propane air an option? What are the challenges associated with obtaining an environmental permit given your existing emissions profile? Do you have enough space to site the equipment? How close are you to the fuel source? Is a topping turbine a good addition to the project? Is a boiler operator or license required in your state? What are your primary and backup water sources for the boiler? Are your current water treatment and storage capacities sufficient to support a new boiler? 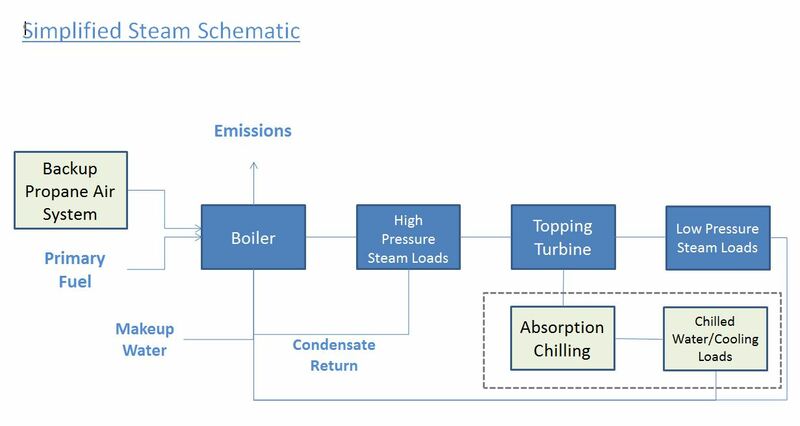 What sort of heat recovery systems can be utilized to maximize the efficiency of your boiler? Do you have the expertise to operate and maintain the equipment (i.e., is it part of your core business)? If a new boiler project looks like a fit for you application, contact IEA and one of our experts can guide you through the project screening and development processes. IEA can own, operate and maintain your steam energy project or provide a turnkey solution with asset management services to support ongoing operations and maintenance for projects owned directly by customers. There are many types of boilers depending on the fuel type and the working pressures involved. The key to managing boiler asset life is and always has been maintenance of boiler feedwater chemistry.